I am so very glad you are here today! 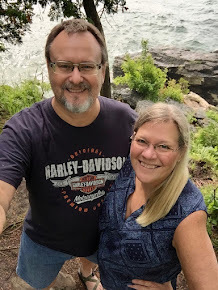 Once again, Madame Samm has created a fun blog hop for us to participate in, wether we are on the creating side of things or just hopping along to see what other people have made. Hasn't Mary been the perfect cheerleader to cheer us on? 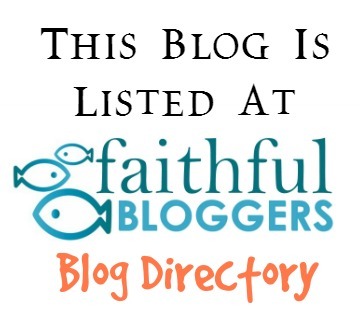 They both worked incredibly hard to make this blog hop a successful one. Once upon a time, my oldest son and his girlfriend found themselves expecting a baby too soon in their lives. They made the hardest and the best decision...the most selfless decision any couple could make. They chose life...and placed their sweet baby girl up for adoption. Jen and Steve chose to have an open adoption. Being blessed to be able to watch my first grandchild grow up is priceless. Instead of losing a grandchild, I gained two more "kids" for my own family. The dress is one that Brooklyn wore when she was a wee tiny babe. =) This next weekend, we will be traveling to see Brooklyn participate in her first dance recital and I will be able to give Jen her Mother's Day gift myself. What a sweet, sweet story. How generous of your son and his girlfriend. And how lucky for you to have such great adoptive parents. I'm sure Jen will love your creation. Oh we are all in tears... at least I am while writing this comment after reading your story! Your quilt is gorgeous, but the thought, the love in it is what counts! Thank you so much for sharing! Sweet story. And a wonderful mother's day gift. And I have tears in my eyes! You have captured our hearts and that little quilt is the best thing I've seen in a long, long time. Cleverest thing EVER!! Your son and girlfriend turned a difficulty into a blessing by doing the hard thing and look at all the ripples flowing over to everyone. This kind of story should make the front page of every newspaper, above the fold and in color! Thanks for starting my day off with a smile! such a beautiful story and a lovely quilt. Darling quilt. But I am confused about your story. Who are Jen and Steve? If your son gave up their child for adoption, did Jen and Steve (whoever they are) adopt your son's child? I am in tears here too!! Thank you for sharing that story! What a blessing it is for everyone involved!! I love the comment by Debby, above. . . "look at all the ripples flowing over to everyone!" That quilt is just beautiful! What a wonderful quilt. You have been blessed. Just such a wonderful story. Beautiful. Wonderful story and gift. I love when we can incorporate the fabrics of our lives into a memory quilt. I am wiping a few tears away myself. 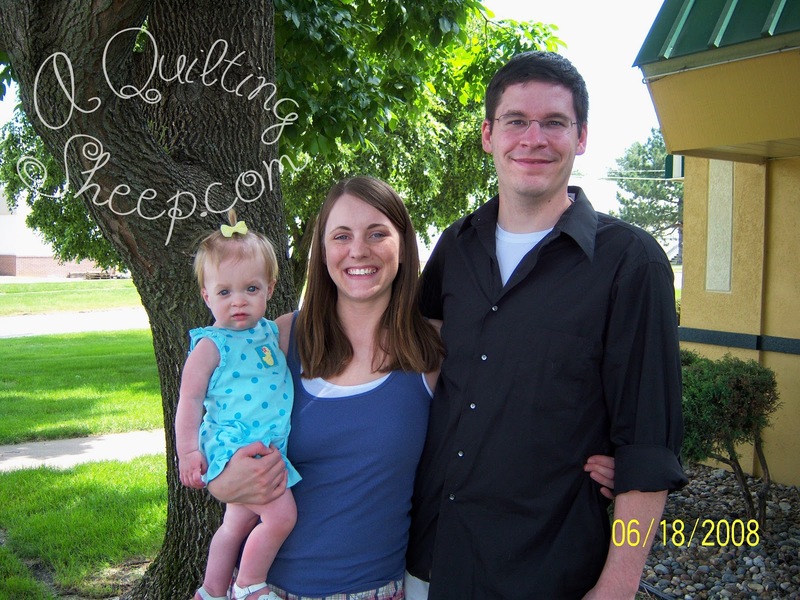 A sweet and meaningful quilt for Jen. Aww, how sweet! And how special for Brooklyn to know she really is loved by her birth family. I know so many adopted children are haunted by this as they grow up and understand adoption. This is such a wonderful way to make a family for her! So nice of you to make this for her mom! What a beautiful story to go along with a beautiful grandbaby and adorable quilt!! It's wonderful that you all get to still be in her life. Her Mother will love the quilt ! what a sweet quilt. and I love your blog banner. What a blessing for all concerned! Such a wonderful story in the midst of the shameful, heartwrenching news out of Philadelphia. Look how God has blessed the choice of LIFE. That is such a sweet gift and so beautiful! Loved your story, too! P.S. And if something should happen that she doesn't like absolutely LOVE that quilt, you can always send it to me. Haha. It is adorable! 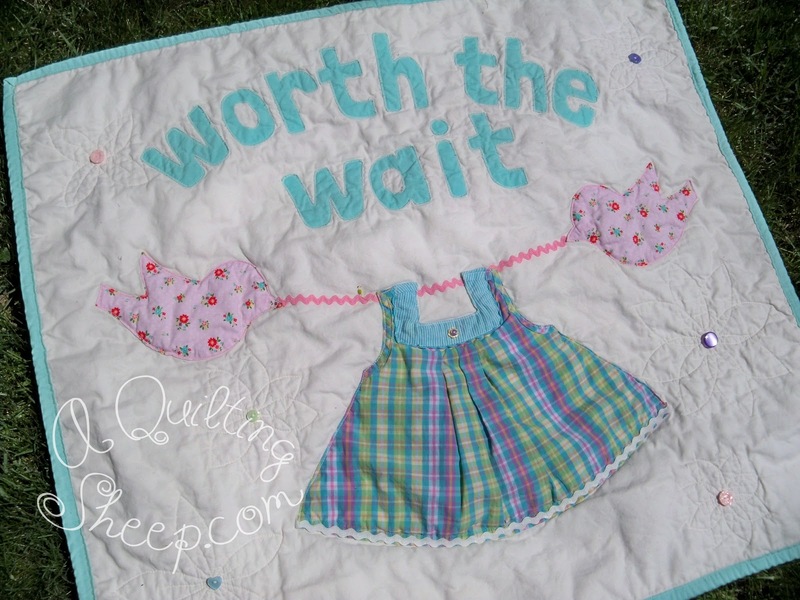 That's a really cute idea to sew the baby dress onto the quilt. Love it! What a great quilt for a wonderful granddaughter, and her families. What a touching and beautiful story! I can imagine the tears that will be shed when she opens that gorgeous quilt. You're a great grandma! What a wonderful thought! What a blessing that you are able to watch that darling girl grow! I am holding back the tears. What a beautiful story! I am expecting the arrival of my third grandchild any day now and guess what her name is? Brooklyn! What a joyous outcome for all that are involved!! I think your quilt will be received and many tears will be shed. Thank you for sharing your heart-warming story with us. Great story and great wallhanging! What a treasure to have! That is about the sweetest story ever. Bless your son and his girlfriend for making such a hard, and GOOD, decision. I love your perspective on your relationship with the adoptive parents. What a blessing! And the quilt is just too adorable. What a great way to showcase a baby dress. That is just plain adorable and I am writing with tears in my eyes. so very sweet, I am so glad that it was an open adoption. 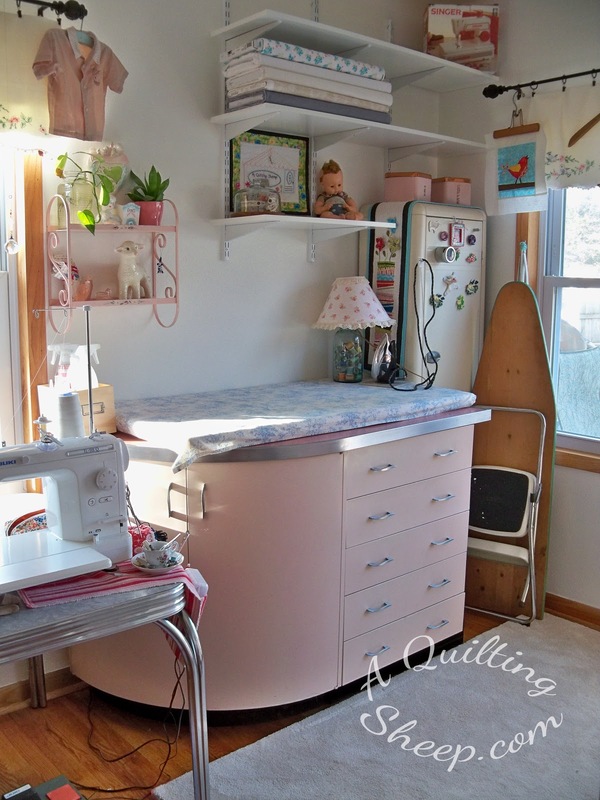 Can I pin your precious quilt for inspiration? What a sweet story. Your quilt is lovely. Thank you for sharing. Thank you too for being part of this hop. A Miracle of Life is a precious jewel. I am so encouraged to learn of your story. Adoption is an act of Love and Sacrifice. My daughter would give anything to have someone entrust their baby into her arms. I will share this story with her. After that story I forgot to tell you what a precious quilt you created. Just like Brooklyn! What a fabulous gift, on all of your parts. The quiltie is just precious and will sure to be a treasured memory for years to come. Wonderful story of selfless-ness, with a beautiful ending! Looks like everyone is a winner here. Especially that adorable little one! Nice story and quilted piece. Thanks for sharing. Love your story and sweet quilt. Thanks for sharing. What a wonderful and meaning gift! Thank you for sharing. Shivers down my spine, goosebumbs, and tears in my eyes, what a love story you share! I love your quilt, it will bring you all to tears, but tears of love and joy! Enjoy the dance recital and be proud of all your lovely children. Thanks for sharing! I love your sweet story. This is an issue so dear to my heart as my daughter has adopted two brothers and hopes to soon adopt another little boy, 20 months old. When Bethany was 13 we adopted her 12 year old sister Faith and added to our family of 8 to make a family of 9. It was rough going for a while but so well worth it. I now have five beautiful grandchildren, all from the blessings of adoption. I give God all the glory! What a beautiful project! How did you make the letters? What a fabulous story - I like the quilt you made! A beautiful quilt for a beautiful mother from a thankful grandma. What a sweet gift! I've always thought that if I adopted I would make it an open adoption for the grandparents to be able to stay in contact. What a beautiful story and a beautiful quilt! What a beautiful gift your son gave! I was adopted as a newborn. I never met my biological family, have no medical history, don't know my heritage, lots of holes. I grew up knowing I was wanted and loved but I've always had lots of questions with no answers. When my first daughter was born I spent hours looking at her. She was the first person in my life who shared my genes. I love that they were able to do an open adoption. That's a difficult choice to make. Brooklyn is truly blessed. Love your quilt Grandma! Tender tears.....the best kind! Thanks for sharing today! God has certainly blessed you for having such a loving heart, Amy. If there were more people like you in the world, it would be a much kinder and gentler place. Beautiful quilt, by the way, and what a great way to use a little dress from the past. Your ideas are inspiring! Thanks for sharing,. Lovely quilt. What a beautiful little quilt for a beautiful little family. What a sweet story, Amy! Isn't it wonderful how God can turn our heartaches into blessings! Your post brought tears to my eyes. What a wonderful story. How lucky you are to still have that sweet little girl in your lives. Jen is so lucky to have your family as part of hers. The quilt is adorable. Thank you for sharing that story. What a beautiful keepsake you created. Just wonderful in every way. Thanks for sharing your story Amy, and what a great perspective you have. The quilt is gorgeous and what a great way to use it as a memory for Jen when Brooklyn is older. Oh Amy...your talents are God given!!! Lovely quilt...lovely gift!!! A beautiful post and a beautiful project! What a beautiful story and so is the quilt! What a great gift! Lovely quilt and such a wonderful story. How totally marvelous - the story and the quilt. Those little blue birds have lots of responsibility to hold up all those "sweet baby memories" in the form of a dress. Your design is beautiful and made precious by using fabric from the baby's dress. Such a lovely story. And I bet there will be tears. HI!!! Very sweet story!!!! Great it worked out so well!!!! Very sweet quilt!!! What a great gift! Sew sweet! What a priceless story and what a wonderful ending. And such a swet memory quilt for someone so very special. What a beautiful story and what a Blessing adoption is. My Mom was adopted as well as friends of mine that received that beautiful gift. Congratulations to them all! Your little quilt is just so precious! Just found your blog for the first time tonight and what a blessing it is. To read of your love of the Lord Jesus in your profile and also to read this story. And, what a sweet story! That they chose life, that they gave away that life, that those others chose to share that life and that you are blessed to be part of that life - what a miracle from the Giver of Life! :-) Truly awe inspiring! John 10:10 The thief cometh not, but for to steal, and to kill, and to destroy: I am come that they might have life, and that they might have it more abundantly. And, your idea for the quilt was just lovely!